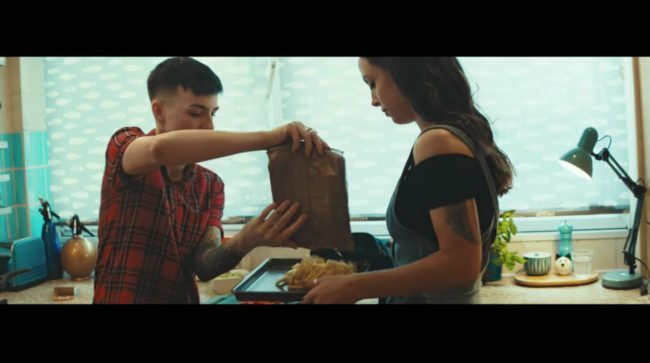 McCain [Foods] is [featuring] a lesbian couple in an advertising campaign depicting modern family life, months after a gay couple were subjected to online abuse for appearing in its TV ads. The frozen food company [launched] the TV ad [today in Britain]. It features a range of real-life couples, including the dancers Kimberley and Molly, and Andy and Tara, a gold medal-winning Paralympian who is now a disability rights campaigner. The last TV ad in the campaign featured the gay couple Lee and Mat Samuels-Camozzi with their baby. Their appearance in the 60-second advert prompted trolls to attack the couple with homophobic abuse. See the new ad below and the full story here.